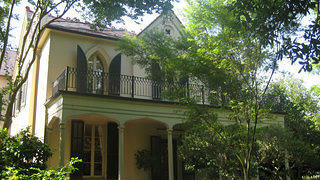 New Orleans' Garden District is among the best-preserved collections of mansions in the United States. Today's local preservationists are big-picture thinkers. They're not looking only at landmarks; they're also thinking about their community's whole environment, development history, sustainability, and politics. And one great way to protect a place's history, culture, and values is to establish a local historic district. As you might remember learning from our National Register toolkit, simply listing important places on the federal register isn't enough to prevent demolition. In fact, most legal power to protect historic places rests chiefly with local government. So what is a local historic district, and what does it do? A local historic district is an entire area or group of historic structures deemed significant to the city's cultural fabric that are protected by public review. This can include downtown commercial areas, main streets, waterfront districts, and residential districts. Most often, communities create local districts to prevent unregulated and insensitive change. The main tool is the preservation ordinance, a local statute that provisions for designating historic resources, establishes a design review board (also called a preservation or historic district commission), and creates a design review process and guidelines. Establishing a local historic district has many different components, but this week's toolkit introduces you to the overall process and gives you a sense of what's required to get started. We'll dive deeper into related topics in the months ahead. 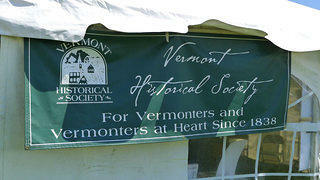 After a review process, authorities may declare an area to be a historic site. Becoming allied with a historical society is an effective way to fight for the preservation of a site. 1. Consider the whole package. Whatever the goal for your community, keep in mind that historic district status is simply one tool to protect community character and should be used in combination with other planning and revitalization strategies. 2. Recognize the district's associative value and economic advantages. Keeping buildings, sites, and objects around for future generations to appreciate is one of the deepest justifications for historic preservation. In addition, well-preserved and revitalized historic districts can give an older area an economic boost. 3. Make a compelling case. Clearly articulate the benefits of creating a local historic district to government officials. More importantly, help property owners fully understand what designation will mean for them, since their property use will in some ways be restricted. Robust presentations and discussions upfront can minimize controversy later. 4. Form a broad-based task force. Bring together community members who are hard workers, civic-minded, supportive, and willing to learn. Get the local governing body to pass a resolution officially recognizing the task force. The group then becomes the primary driver for creating the local district, and may even position some of its members as candidates for appointment to the preservation commission. 5. Launch a public awareness campaign. Begin early to build public and political support. Creating a district will affect and interest a wide range of citizens, so target your outreach to diverse groups, including elected officials, media, the business community, religious leaders, and schoolchildren. Make sure your education materials are clear, concise, and easy-to-understand. 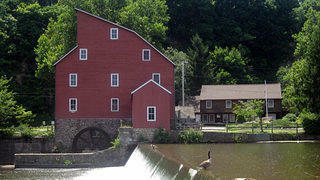 The Red Mill is part of the Clinton Historic District in New Jersey, among America's best preserved historical districts. 6. Ally with a local nonprofit preservation organization or historical society. These types of groups are often the most logical to coordinate district supporters' activities. They can help educate constituents, organize lobbying efforts for preservation legislation, conduct historic resource surveys (see next tip), poll residents, provide staff assistance, and more. 7. Identify and gather information on your community's historic resources. This step, captured in a historic resource survey, produces a working inventory of sites and structures that informs judgment about where, what size, and how many historic district designations should be made. 8. Set the district boundary lines. Consider the relationship between natural and man-made features; how does that relationship inform the district's character? Analyzing the potential district in this way then guides decisions around setting appropriate boundaries, and takes into account a variety of historical, visual, physical, political, and socioeconomic factors. 9. Go through the design review process. A compulsory or mandatory design review program is most common, and requires property owners to follow established design review guidelines (just as they're required to follow building and fire codes, for example). Sometimes the guidelines are advisory and incentive-based, while other times communities follow a combined approach to make regulations and ordinances more palatable. 10. 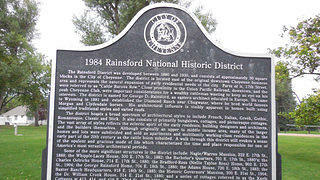 Keep educating even after historic district designation occurs. The most effective community education programs are continuous, and it's especially important that the people who purchase property in a historic district know they're subject to restrictions. Some ways to do this include: educating real estate agents, adding district status to real estate listings, mailing designation notices and commission information with the annual tax or water bills, and forming neighborhood association "welcome committees" to share guidelines. And as always, your state historic preservation office (SHPO)–especially the Certified Local Government (CLG) program coordinator–is an excellent source for complete preservation assistance. Clearly this list only starts to scratch the surface, so check out the additional toolkits below for a variety of related topics, including historic district criteria, basic elements of a preservation ordinance, and more info on the difference between local and national registers. Julia Rocchi is the director of content marketing at the National Trust. By day she wrangles content; by night (and weekends), she shops local, travels to story-rich places, and gawks at buildings.